Event will start 7:00 pm Friday evening, with class all day Saturday, Saturday evening ritual event, and further teachings Sunday morning and afternoon. $200 fee. Limited Space. Must pre-register with payment to reserve space. No refunds are available. Registration is for the entire event and separate registrations will not be offered. The "New Age" has become a catch-all term for anything "witchy." Many Pagan groups have sprung up based on little more than reading a few Books . The result is a mixture of a little true craft combined with bits from Celtic, Irish, and Welsh traditions and pieces from Lord of the Rings and fantasy comics. But the Craft of the pre-Saxon was a faith in its own right with ways, beliefs, and practices. The Old Religion holds to one thing: the fertility of Land, Cattle, and Women, the cycle of birth, life, and death, and meeting each with trust and joy. This workshop is built around practices older than the chalk figures on English hillsides. Once it flourished, now it lives only in the hearts and minds of a few. But what has been saved can now be taught to those worthy of it. In the old way of mouth to ear, you will listen to the words of the Last Walker, passing on Traditional Craft. Dolores Ashcroft-Nowicki trained in the Western Mysteries, but always loved the Craft. She set it aside to fulfill a promise made many lives ago, and returned to help save the Traditional Craft and became its last “Walker.” For five years, she copied and orally learned the old ways. Bound by the blood oath, she gave her word to protect the people, sites, and "Heart of the Tradition." Some she was given permission to teach so it could be passed on. Come and learn the old ways and the old songs and and Walk the Way of the Folk as it used to be. 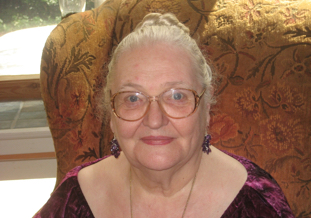 Dolores is one of the most respected and experienced esoteric practitioners currently at work in the British Isles. She was born on the Channel Island of Jersey off the coast of France. She was trained in the Fraternity of the Inner Light and worked as a Cosmic Mediator with Walter Ernest Butler. Dolores is a third degree adept and Qabalist. She not only teaches the Craft but also is the current director of the Servants of the Light, a Hermetic order descended from Dion Fortune’s Society of the Inner Light. She travels extensively, teaching a wide range of occult subjects to pupils in both the U.K. and United States. Successor to W.E. Butler and present director of studies of Servants Of the Light, author of several books and correspondence courses, she is a third-generation psychic sensitive and a highly trained Cosmic Mediator. Her teachers and mentors were the late C.C. Chichester, Warden of the Society of Inner Light, and W.E. Butler. She travels extensively all over the world keeping in touch with Supervisors and students of the school. She writes, lectures and holds workshops. She has the ability to communicate with insight, knowledge and the passion of conviction in her chosen field, which, combined with her down-to-earth sense of humour, has made her a welcome visitor to many countries. She comes from a long line of trained occultists and psychics. Both parents, were third degree initiates. Dolores and her daughter Tamara have inherited their psychic sensitivity on both sides of the family going back to Welsh ancestry on one side and Andalucian gypsy blood on the other topped up with a dash of the Qabbalah through a German Jewish great grandfather. Born on the misty, magical and haunted island of Jersey where she still lives Dolores has practised the sacred occult sciences since childhood. Exiled from the island when it was occupied by German Forces in WW2, she spent the war years in the equally magical location of the Wirral Peninsula on the north west coast of England. She first trained as an actress and holds a teaching diploma from one of London's most prestigious drama schools. She also trained for some time at Trinity College of music intending to make opera her career, but gave it up willingly to take on more serious work. With her husband Michael she entered the Fraternity of the Inner Light founded by Dion Fortune in the sixties but left in good standing to work with W.E. Butler and Gareth Knight in the Helios School. In 1971 this became the Servants of the Light School. For the next five years Dolores was trained as a Cosmic Mediator by Ernest Butler and was acknowledged by him as his successor. In 1976 her much loved teacher retired she became Director of Studies of the SOL. Since then she has worked tirelessly to build the school into the well known and highly respected institution it has now become. One of her most valuable contributions to modern occultism has been to focus attention on the use of Pathworking as a training tool and she is acknowledged to be one of its foremost exponents. She travels the world constantly, lecturing, teaching and holding workshops. To date she has written seventeen books and designed the SOL Tarot Deck with Jo Gill and Anthony Clark and the Shakespearean Tarot with Paul Hardy. In her ‘misspent youth’ Dolores' preferred sport was fencing and she still has a passion for collecting blades of any kind. She is 5’5 high and weighs “too much,” has hip length silver hair, a passion for peppermints, and loves animals of all kinds—so long as they do not have more than four legs!